The team of the Belgian Embassy in Helsinki. 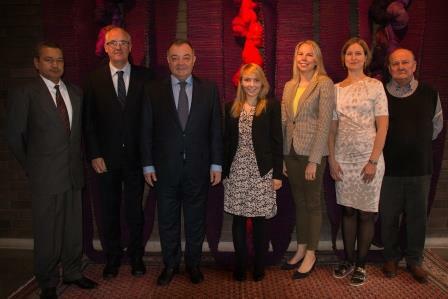 From left to right: Jeoffrey Narag, consul Marc Fieremans, Ambassador Carl Peeters, Mari Laakso, Anna Kalliola, Mari Niiranen, and Henry Nieminen. Are you a Belgian who has recently moved to Finland or Estonia and would like to register with the Embassy in Helsinki? Did you lose your passport while you were travelling through Finland or Estonia as a tourist? Do you need to request a visa in order to travel to Belgium? Then you’ve come to the right address. This website will keep you up to date on consular matters that are specifically applicable to Belgians in Finland and Estonia, current events in Belgian foreign policy and other useful information or events.